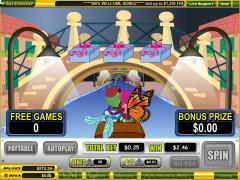 Love Bugs is a romantic themed online slot game from the online gaming software provider Vegas Technology. The background to the reels is the canals of Venice where the Love Bug serenades his Lady Bug. The symbols on the reels depict romance. They include Diamond Ring, Violin, Perfume, Necklace, Champagne, Flowers, Chocolates and Love Letter. The wild symbols are the Love Bug and the Lady Bug and the scatter symbol is the Heart. The highest fixed jackpot is paid by the Venice Canal symbol. All the symbols have been crafted in colorful painted style in keeping with the theme. Though there is no continuous background music, the musical interludes played at wins are soft and romantic. The three main symbols show audio visual animations. The Love Bug and the Lady Bug express their love by blowing plenty of red hearts. In the scatter Heart symbol Cupid’s arrow strikes the heart. All these animations have a different and more pronounced audio. 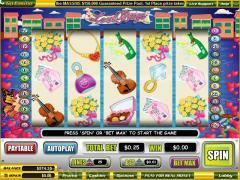 A large coin size range is available in this slot game. The sizes covered are 0.01, 0.05, 0.25, 0.50, 1.00, 5.00 and 10.00. This makes Love Bugs attractive to both low rollers and high rollers. The players are constrained to wager one coin per payline and therefore the coin size is itself the line bet. The total bet per spin is obtained by multiplying the line bet by the number of paylines enabled. Since the slot has 25 paylines the maximum total bet can be as high as $250. The number of lines and the coin size can be adjusted by operating the up and down arrows next to the indicators below the reels. The Love Bug and the Lady Bug are the wild symbols. They do not multiply payouts nor do they offer any payouts on their own. The Lady Bug appears only on reel 1 and the Love Bug appears only on reel 5. The wild Love Bug appearing on reel 5 is significant because in this slot game the winning combinations pay right to left as well as left to right. When both these symbols appear simultaneously on their respective reels the bonus game is activated. In this game the Bugs are traveling along a Venice Canal and accumulate credits as they cross under the four bridges. If the Bugs happen to get the Diamond Ring symbol then the credits accumulated are tripled. If the Bugs happen to get the Necklace then 15 free spins are awarded. This bonus feature cannot be retriggered during the free spins. The Heart is the scatter symbol. 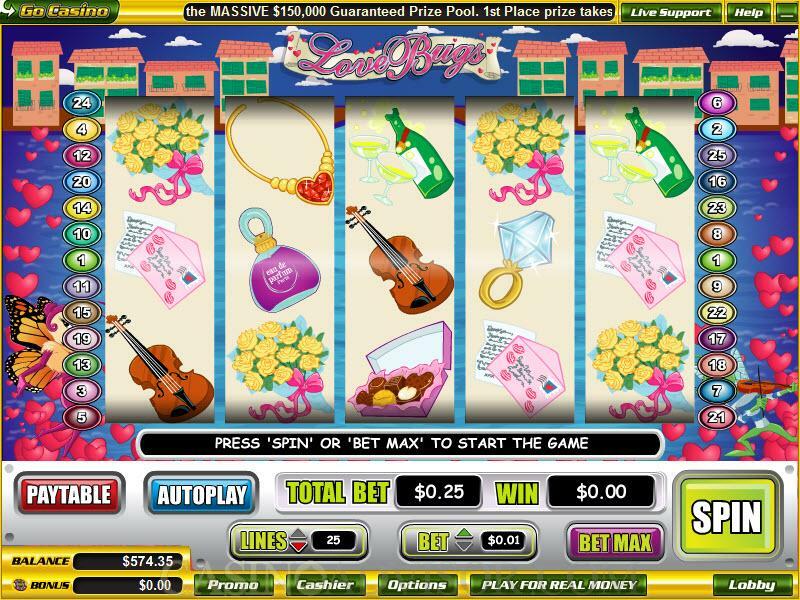 It only offers scatter payouts when two or more of such symbols appear anywhere on the reels. It does not trigger any kind of bonus feature. The payout for five Heart symbols is 100 coins. In order to convert to credits this is multiplied by the total bet. Interested in reading more detailed information about Love Bugs? If so Click Here for more details.